Starring Magic Comic, Jamahl Keyes, the two-hour variety show features several additional performing acts, including performances by Brandon “Smooth Operator” Ware, Jason “Off The Wall” Adams, Robert “Sweaty Hands” Day and The Key of “M” Band. 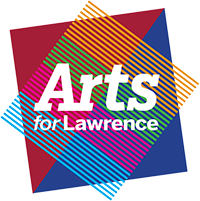 Mayor of the City of Lawrence, Steve Collier will be joining Keyes on stage as a part of a number in Keyes’ magical act. Based in Indianapolis, Magic Comic Jamahl Keyes is an internationally recognized magician, known for his incredible mind-reading tricks, ability to predict future events, moving objects using his mind and hilarious audience engagement and participation. Keyes has been recognized as Thespian Actor of the Year by the National Thespian Society, S.A.M. World Champion by the Society of American Magicians, and received the Raymond Hensey Award for Excellence in Theatre. Tickets for Magic in Motion $20 for general admission, $15 for kids, $60 for a family four-pack, and $160 for a block of ten tickets. Tickets can be purchased at http://magicinmotion.brownpapertickets.com.